Seaman Corporation manufactures specially reinforced PVC products that are used in the aquaculture industry. These materials are formulated with additives that don't inhibit the growth of certain types of harvestable water-borne plants and are sunlight stable and manufactured using a tough knitted base fabric. Proof of the effectiveness of these geomembranes can be found in the spirulina industry in the Western U.S.
Help increase the health of plants and animals in aquaculture ponds with XR® Geomembranes pond liners. XR®-PW is the preferred membrane for the containment of potable water. These geomembranes provide superior UV resistance, high seam and tensile strength, low thermal expansion and contraction and more. 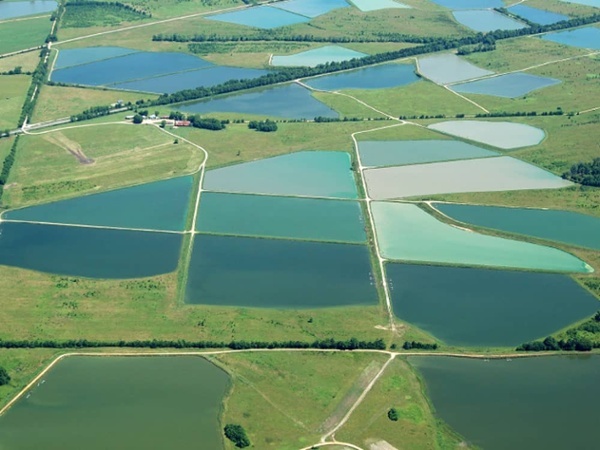 In unlined aquaculture ponds, inhabitants can be exposed to a wide range of diseases carried by the exposed soil. To learn more about the importance of pond liners in the aquaculture industry, contact us today.